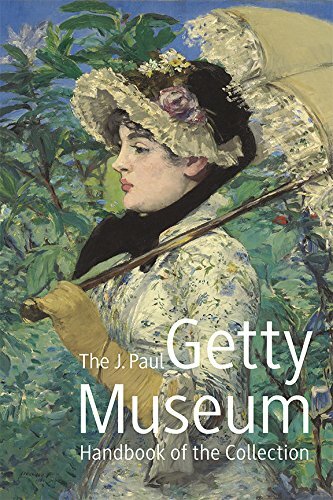 This gorgeous new edition of The J. Paul Getty Museum Handbook of the Collection features over 350 of the museum’s most beloved objects. Updated to include numerous exciting new acquisitions—from the Gillion manuscript to Gauguin’s Arii Matamoe (The Royal End), from J. M. W. Turner’s Modern Rome to Robert Mapplethorpe’s famous Self Portrait—the handbook presents an overview of the Getty’s world-renowned collections and provides a history of the museum and its famous founder. From treasures of the ancient world and medieval manuscripts to Renaissance drawings, French furniture, Impressionist paintings, iconic American photographs, and much more, the handbook offers an indispensable look at both the magnificently reimagined Getty Villa in Malibu and the dazzling Getty Center on a hilltop in Brentwood. Whether a regular visitor to the two sites or someone who hasn’t yet made the trip, this richly illustrated and beautifully redesigned volume is a must-have for any art lover. If you have any questions about this product by J. Paul Getty Museum, contact us by completing and submitting the form below. If you are looking for a specif part number, please include it with your message.